"...all taken by a fleet of Earth-observing satellites that form part of the Landsat program, which celebrates its 40th anniversary tomorrow. 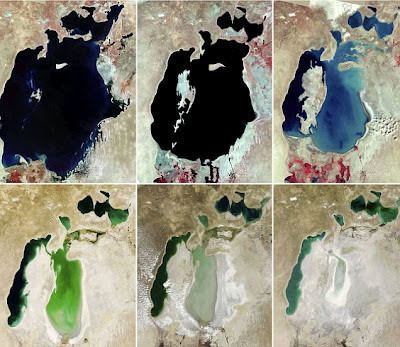 Jointly managed by NASA and the U.S. Geological Survey (USGS), the initiative has been consistently gathering data about our planet since 23 July, 1972. 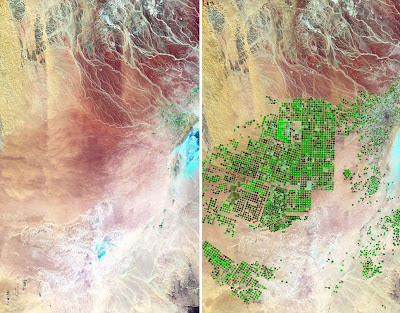 [...] This makes it the world's longest-running satellite program for global land observations. Its archive of images forms an impartial, comprehensive, and easily accessed register of human and natural changes to the Earth."